The combination of providing resolution to technical problems while maintaining excellent customer service skills creates a unique challenge for today’s support professionals. Customer satisfaction derives from effective communication as much as from obtaining a technical solution. The Support Professional course addresses this challenge. This two-day course provides the customer skills necessary to deliver quality services in today’s high expectation and complex support environment. This program can provide the distinction that sets individuals and companies apart as the best in the technology support industry. 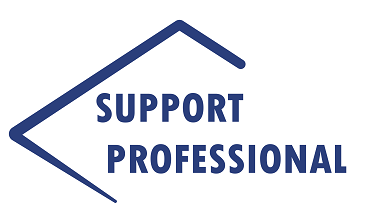 The Support Professional course teaches practical skills in effective communication; professionalism on the telephone and email; questioning techniques; adapting to the customer; dealing with seven types of difficult customer; maintaining credibility and effective teamwork. Support professionals who want to provide exceptional customer support. The program teaches soft skills techniques and strategies to effectively work with all types of customers while solving technical problems over the telephone or via the Internet. Experienced support professionals who have not received benefit of customer service skills training will gain new skills and reinforce their current practices. The instructor was motivating and helpful. Well organised material related to the most important issues. I really enjoyed the course being active and engaging. I found the content (referring to the book) too long to be reviewed, but the explanations given will cover the main topics. Relevant contents, good atmosphere, I would recommend it to any support person. Great fun – educational. Eye opener on certain areas of the course. Great! Julie timed everything well and was conscious of making sure we were following. Perhaps better audio for AV but that’s not a must have.